2.7% tax rate!!! 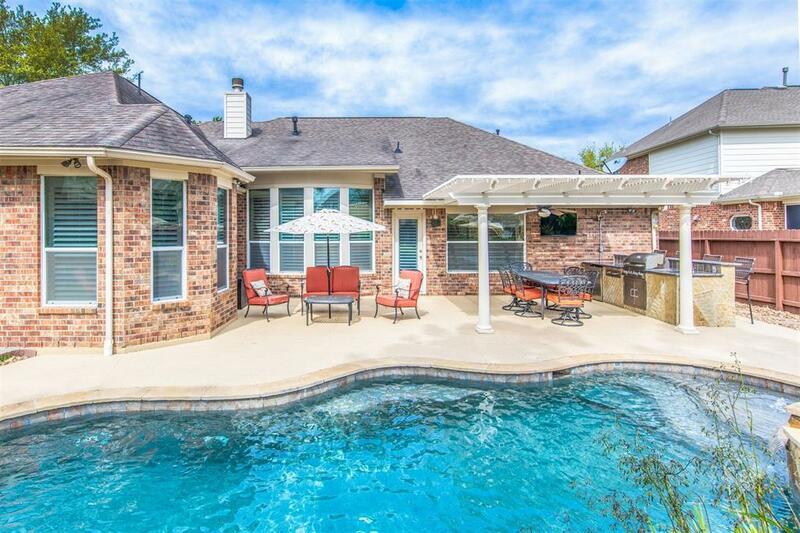 BACKYARD OASIS comes to mind when describing this charming Grayson Lakes beauty. 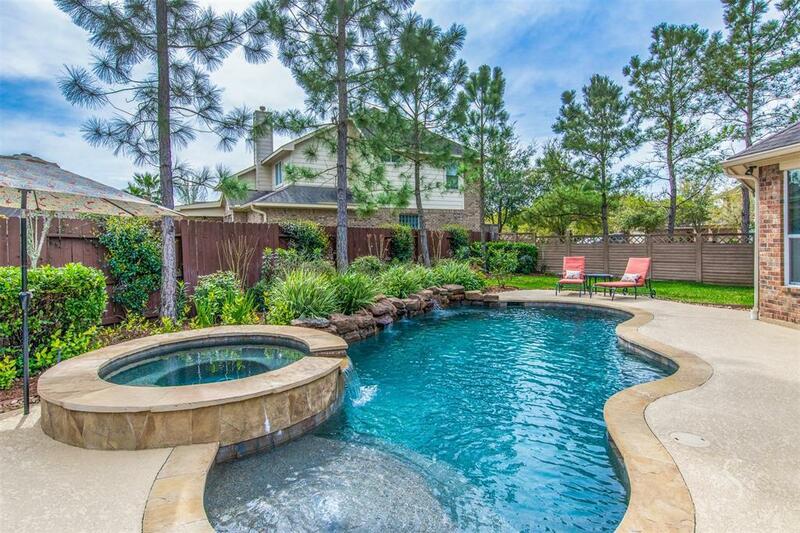 Perfectly situated on a CORNER lot and a few steps away from one of the main lakes, your Katy ISD semi-custom home boasts a dreamy gunite pool and spa (2015), outdoor kitchen loaded with mini fridge, sink, and Bull outdoor gas grill, and covered patio perfect for entertaining; GAME READY since flatscreen TV stays. 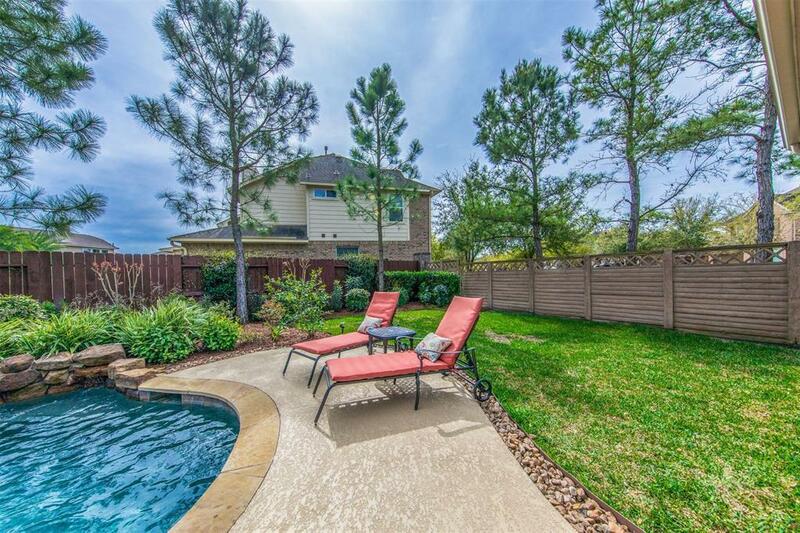 Your stunning FOUR bedroom home features neutral tile throughout, upgraded carpet and padding in all secondary bedrooms and master bedroom (2017), wood flooring in your formal dining and handsome study, crown molding throughout, a HUGE granite island PLUS extra counter space in your kitchen overlooking your living area and its cozy gas log fireplace, AND plantation shutters in EVERY single room EVEN the laundry room! 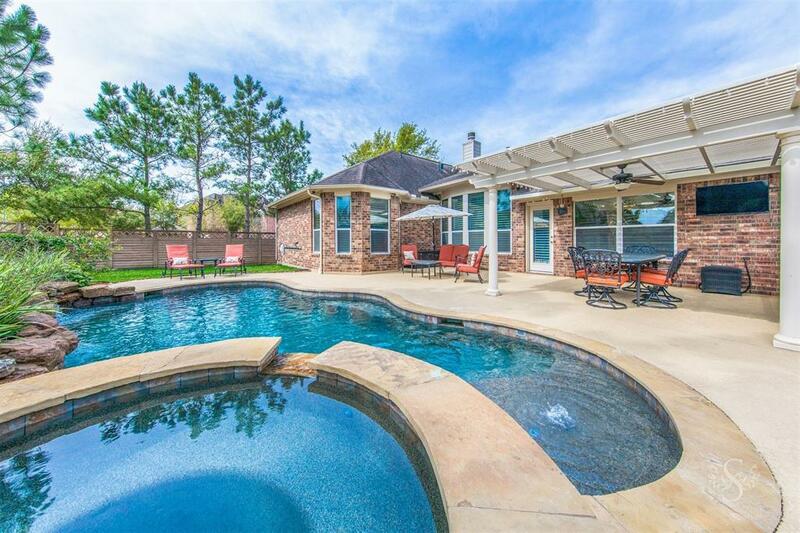 BONUS: Zoned to Exemplary Wood Creek JH, WC Elementary and Tompkins PLUS conveniently located next to plenty of shopping and restaurants. HIGH AND DRY DURING HARVEY!